Classic-Castle.com • View topic - Lands of Roawia Collage - Join Today! This is a medieval MOC-based RPG that is really a lot of fun. Contests and Prizes on a near-monthly basis. Be sure to check it out! Re: Lands of Roawia Collage - Join Today! I'm already a member, but thought I'd still comment- nice collage, you picked some great pics! Represents LoR very well. I should post an ad soon. Oh, BTW, the MoF pic on the bottom left is Anselm MoF, not Loreos. Not a big deal, though, since they look pretty similar. Brickninja wrote: I'm already a member, but thought I'd still comment- nice collage, you picked some great pics! Represents LoR very well. I should post an ad soon. Oh, BTW, the MoF pic on the bottom left is Anselm MoF, not Loreos. Not a big deal, though, since they look pretty similar. Like I said on Flickr, this is great! I know if I hadn't already become a member this could well have persuaded me to join. I've tried joining the website many times, when I click "register" it always sends me to a blank page saying "this page does not exist". Totally read that as COLLEGE. Thought LoR was beginning to offer recognised qualifications. Justin M - I'll look into it for you. Maybe try this link https://login.proboards.com/register/5738203. 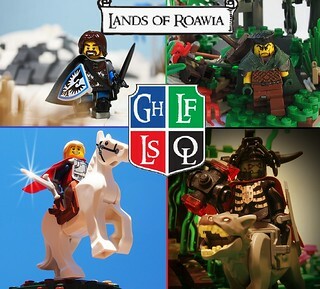 Hey if you're the admin in lands of Rowia could you please tell me if I'm going to be accepted into Lands of Rowia?